You'll meet people from all over the world because NTU has such a great reputation that people travel far and wide to come here, it's a privilege. “My foundation diploma tutor recommended NTU to me as I was adamant that I didn't want to study in London, and the Fine Art course here is well-known, established and highly regarded. I came to have a look and fell in love with the city, the course, and the university. “I enjoy the openness and flexibility that I have – there are no set pathways and it’s very much interdisciplinary. Our studios are huge and we have vast amounts of space that we share with all three years of the course, which helps to build a sense of community. I love working next to people who are making completely different work to my own, in a completely different way. 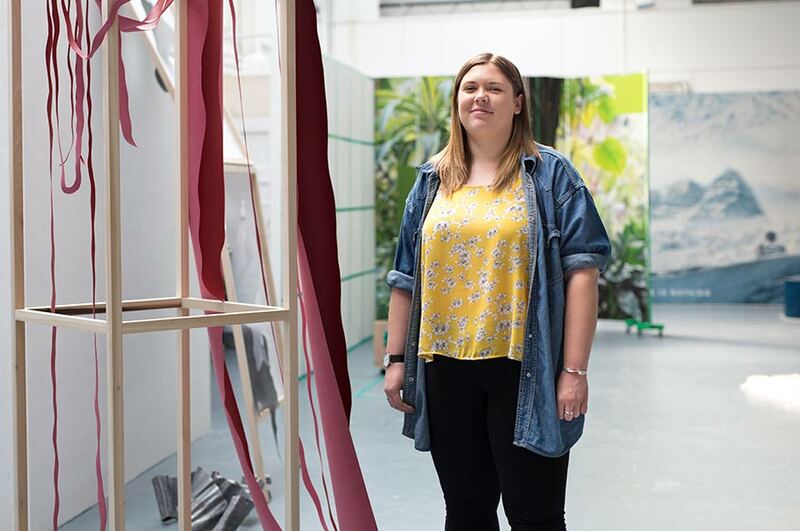 “The facilities within the course and across the School of Art & Design are fantastic, and I’ve been able to develop my practice in leaps and bounds because of the technical support and workshops. “The support from course staff is fantastic. All the lecturers are enthusiastic and supportive and you can sign up to have tutorials with any of them, regardless of the year you are in. They all specialise in different areas of art so you gain such a broad knowledge and understanding of the industry – they are all practising artists and have current experience in contemporary art. “For the size of the city Nottingham has a large amount of arts organisations, studios and galleries. They always invite current students to take part in projects and invigilating shows – some offer internships to students or recent graduates. A number of these organisations have been set up by NTU Fine Art alumni who have been in the same position as us, so they are always happy to off us experience within the industry and support us.